From the 1950s to the present, handmade leather handbags, signed by Bertoni 1949, are indispensable accessories, an expression of an aesthetic Made in Italy that has been handed over for three generations, evolving to every season, never forgetting their roots. 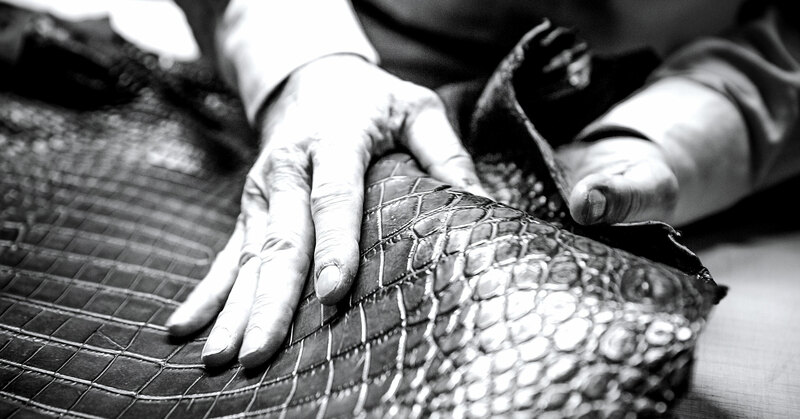 Craftsmanship, beauty and passion are the core values that have characterized Bertoni 1949 since the years of his foundation and that help to make each product a single piece. Every piece, made by hand, is the result of the union of impeccable taste and a singular refinement of execution, reflecting the valuable skills of Mason's craftsmen. Carefully selected materials and care in production give life to genuine leather handbags, backpacks, briefs, trolleys and trunk dedicated to all those who love and share with the brand a path of quality, uniqueness and elegance. 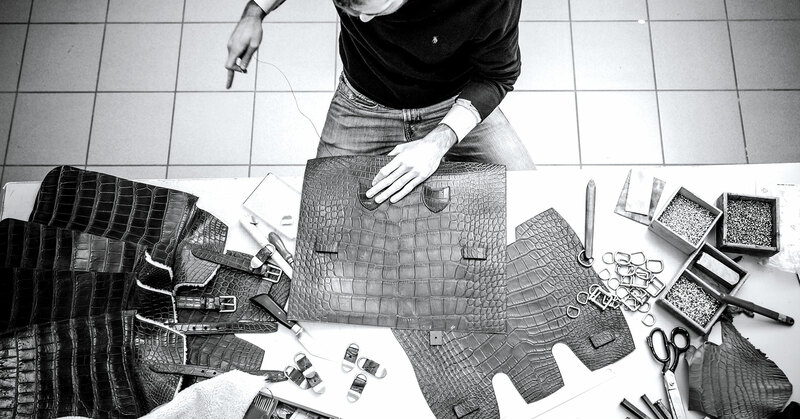 Bertoni 1949 uses four main leather for the production of bags, suitcases and accessories. One is goatskin skin, treated with a natural tanning named " parchment tanning " to make it looks light, transparent, durable and refined. 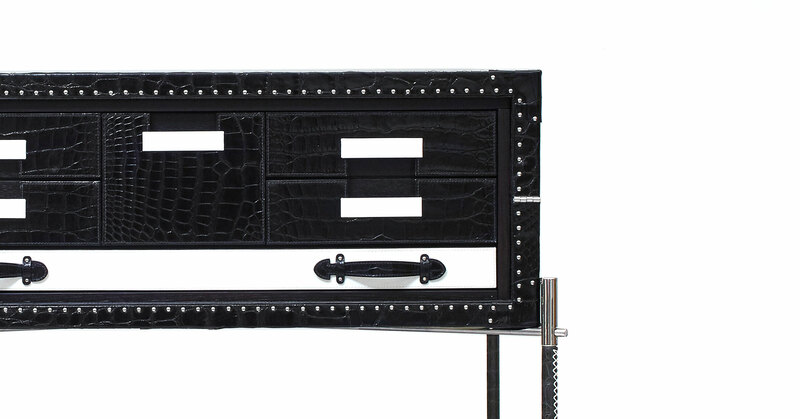 The second is alligator, one of the most noble and luxurious materials there are. Third there is French Calf skin, treated with a particular rich tanning that makes it soft and full, turning the leather to a pleasing touch that recalls cashmere for its softness. Fourth but not least there is wood leather, a calf leather so defined because it is subjected to a special processing that produces a refined wood effect, confers on each bag a bold look. 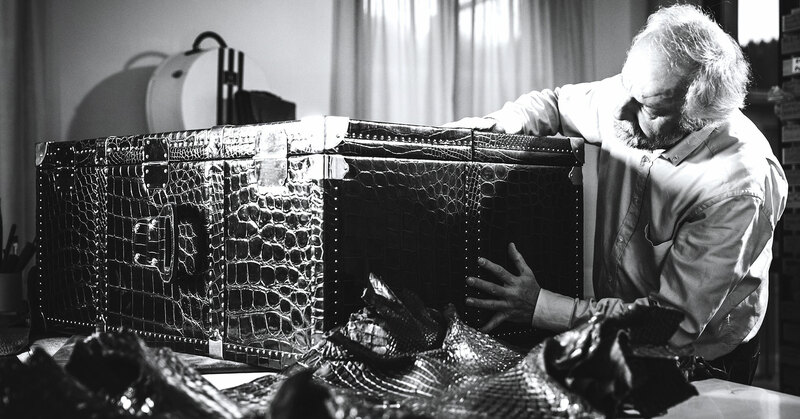 Bertoni's story began in 1949 when Riccardo Bertoni, together with other members, founded the Valigeria Bertoni, which produced real leather handmade travel articles, such as suitcases, classic suitcases, american trunks and wardrobe trunks. The workings carried out in this new laboratory were distinguished right from the beginning to the finesse, the quality of the leather used, the accuracy and the passion with which artisans pack each iconic products of the company. Alberto Bertoni walks today, along with his family and children, the road indicated by his father Riccardo, with dynamism and professionalism, introducing new ideas and using unpublished technologies and renewed energy in the creation of handbags and handcraft accessories, characterized by timeless elegance. Thanks to his determined and persevering drive, his continuous pursuit of excellence and his clear and sure vision of future, Bertoni 1949 addresses security challenges posed by modern society and shares with its own collaborators the joy for the achievements, yesterday as today. With its unparalleled line of luxury bags and luggage, Bertoni 1949 inaugurates the new season for its almost centenarian manufacturing company. Bertoni1949 story is a family tale that has involved three different generations and has made the brand an exemplary case of Made in Italy excellence in luxury leather goods for handicraft accessories. They have also contributed to giving the Maison some prestigious collaborations, attracted by the unrivaled features of the products, created to allow constantly changes and intervention on the models as well as customizations of orders made to measure without any limitation.